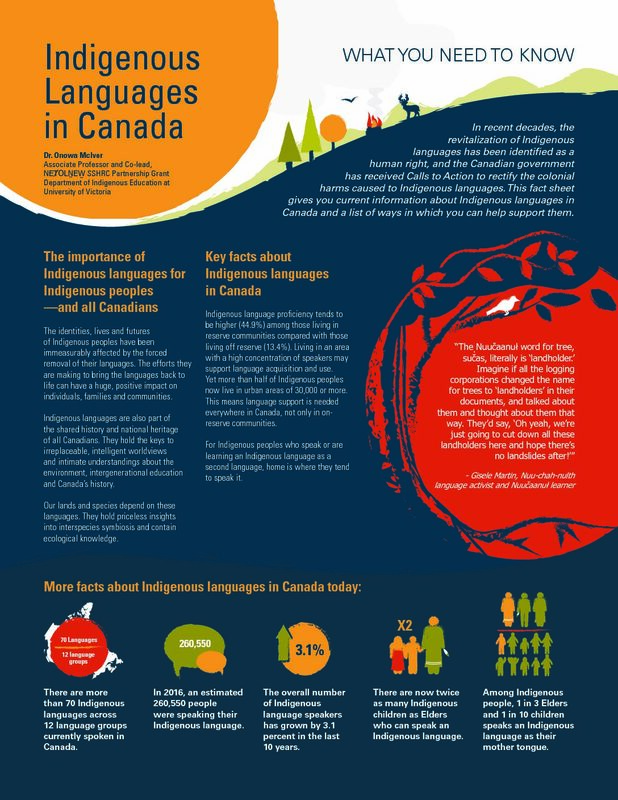 As September 13 marked the 11th anniversary of the adoption of the United Nations Declaration on the Rights of Indigenous Peoples (UNDRIP) and as the international community prepares to celebrate the International Year of Indigenous Languages in 2019, this document aims to make all citizens more aware of the importance of actively helping protect, preserve and revitalize Indigenous languages. It suggests simple ways to support Indigenous language preservation and revitalization efforts in Canada and around the world. The background paper was prepared by the Canadian Commission for UNESCO in collaboration with Dr. Onowa McIvor, a specialist in Indigenous language revitalization. Dr. McIvor is Associate Professor and co-lead of NEȾOLṈEW̱, an Indigenous language revitalization project, at the University of Victoria.